Ayasha Thurman grew up in Coos Bay, a quaint, little town on the Oregon Coast. 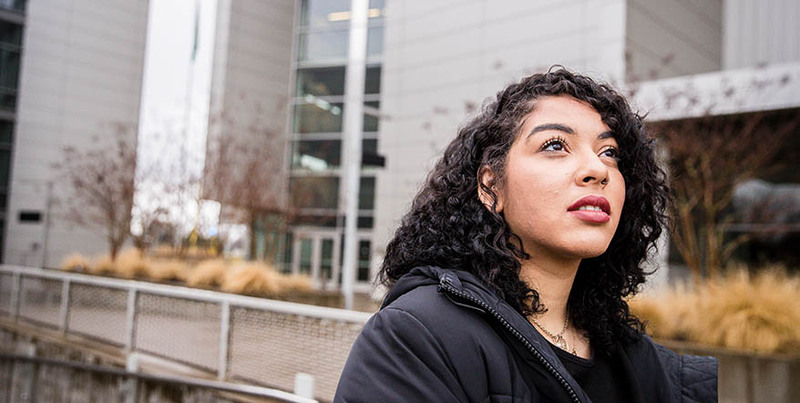 While she goes back home periodically to visit family and encourage her sisters to discover the world, this 20-something University of Oregon graduate is on a mission that’s already underway. 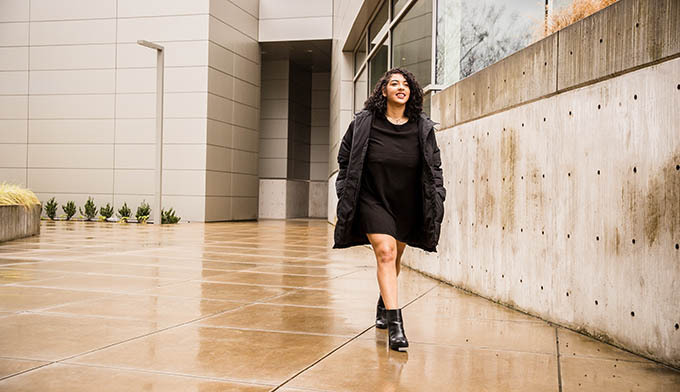 Not long after becoming a Duck, Ayasha got involved with the university, helping raise money for scholarships and other services through the alumni association. Now, she’s an annual giving officer, working with donors and friends of the university to help boost philanthropy efforts. To say Ayasha is passionate about scholarships is an understatement. It’s also her future. Her plan is to someday work directly with students and their scholarship needs. She’s starting that journey by getting the experience she needs as a volunteer and leader with the NAACP’s ACT-SO (Academic, Cultural, Technological, and Scientific Olympics) Program. The year-long achievement program starts anew each year in August and ends with the national competition. As the current chair, Ayasha recruits local, talented teens ranging from 8th to 12th grade. She then partners them with a real-life mentor and ensures they get the recognition and spotlight they deserve. Ayasha likes to give Northwest Community Credit Union some of the spotlight, too. After moving to Eugene, she found the Northwest Community branch near campus and the rest was history. The folks at the credit union were there to answer Ayasha’s financial questions as she went through school. They also helped her boost her credit as well as open a couple of checking accounts, savings accounts, and credit cards to keep her bills, personal charges, savings, and work-related expenses clearly separated. Ayasha uses her work-specific Northwest Visa® Rewards Cards to meet donors for coffee, pay for travel, and other job-related expenses. By keeping everything separate, she’s able to easily identify work charges. Plus, she’s earning rewards points with every purchase, including her own trips to the coffee shop. At Northwest Community Credit Union, we applaud uncommon members like Ayasha. Like us, she’s committed to others and wants to help them achieve their dreams. Whether she’s using her Northwest Visa® Rewards Card for work or a much-needed weekend writing retreat, we’re proud to be part of her future and her dreams of selfless support and encouragement for others.